President-elect Donald Trump has selected former Georgia Republican Gov. 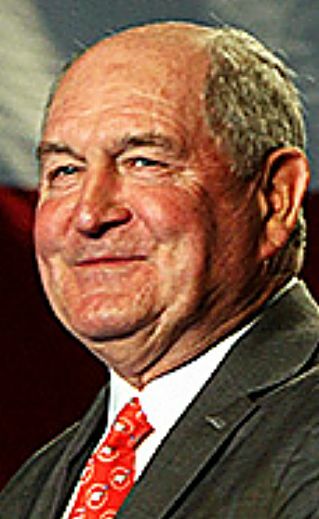 Sonny Perdue for agriculture secretary. The selection of Perdue will fulfill a suggestion of outgoing Agriculture Secretary Tom Vilsack, who had proposed the next president choose a governor because the activities of the U.S. Department of Agriculture are so broad. As a southerner, Perdue can be expected to be a traditionalist on the importance of commodity supports and sensitive to the cotton industry, which has suffered problems since the 2014 farm bill ended its traditional support program in order to respond to a World Trade Organization case against the U.S. cotton program that the U.S. lost to Brazil. Cotton growers have asked USDA to declare cotton seed an oilseed, but the Obama administration has said that would violate the law. American Soybean Association President Ron Moore, an Illinois producer, said the soybean growers congratulated Perdue, and said his members look forward to working with him on everything from implementing "a viable risk management framework to helping expand our markets overseas, to investing in agricultural research here at home." A wide range of agriculture, farm and nutrition groups issued statements on President-elect Donald Trump's nomination of Perdue for ag secretary. Industry groups praised the announcement, but many statements said as much about a group's agenda as they did about Trump's selection of Purdue. Left-leaning groups seemed to visit the nomination as a time to begin organizing. "The nomination of former Georgia Gov. Sonny Perdue for Secretary of Agriculture is welcome news to the nation's farmers and ranchers," said American Farm Bureau President Zippy Duvall. "I have known Gov. Perdue for years. I've seen firsthand his commitment to the business of agriculture as we worked together on issues facing farmers and ranchers in our home state of Georgia. He understands the challenges facing rural America because that's where he was born and raised. He is a businessman who recognizes the impact immigration reform, trade agreements and regulation have on a farmer's bottom line and ability to stay in business from one season to the next." "AFIA works with USDA on a broad slate of issues such as trade and implementation of the farm bill," said American Feed Industry Association President and CEO Joel Newman. "We believe Gov. Perdue's political and agriculture-related background make him a sound fit for the role. Gov. Perdue holds a doctorate in veterinary medicine, and following his service as a captain in the U.S. Air Force, he became a successful small business owner, concentrating in agribusiness and transportation." "For soybean farmers, USDA serves us in so many ways," said American Soybean Association President Ron Moore. "From working to implement a viable risk management framework to helping expand our markets overseas, to investing in agricultural research here at home, these are critical elements of the farm economy, and we look forward to working alongside USDA under Secretary Perdue to ensure that the department continues to serve American soybean farmers in the most effective manner possible." "It should be no surprise that the incoming Trump administration, which has proposed putting executives from Big Food and Big Oil in top cabinet positions, would pick someone like Gov. Perdue — who has received taxpayer-funded farm subsidies — to lead the Department of Agriculture," said Environmental Working Group Senior Vice President for Government Affairs Scott Faber. "We hope the senate will look closely at these subsidies as well as at the political contributions Gov. Perdue has received from food giants, farm chemical companies and farm lobbyists, and ask whether he will help fix or help defend a subsidy system rigged against family farmers and the environment." "Gov. 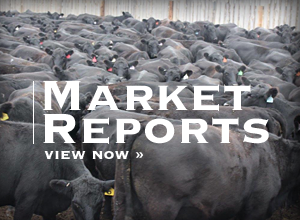 Perdue's an excellent pick to head the Agriculture Department," said National Cattlemen's Beef Association President Tracy Brunner. "As a lifelong agribusinessman and veterinarian, as well as the two-term governor of a state where agriculture's the largest industry, Gov. Perdue has a unique and expert understanding of both the business and scientific sides of agriculture. In a time of increasing regulations and a growing governmental footprint, we have no doubt that Gov. Perdue will step in and stand up for rural America so that we can continue to do what we do best — provide the safest and most abundant food supply in the world." "We believe Gov. Perdue will be a proactive advocate for U.S. agriculture in expanding mutually beneficial trade that is so essential to the future economic well-being of U.S. farmers, ranchers and agribusinesses in all regions of the country, given the fact that 95 percent of consumers live outside our borders," said National Grain and Feed Association President Randy Gordon. The National Pork Producers Council hailed the pick — the final Trump cabinet post to be filled — as "very good for America's farmers and ranchers." "Former Gov. Perdue is well-qualified to run the U.S. Department of Agriculture as a result of his eight years of executive experience as Georgia's governor, and his career as a state legislator and small businessman," said National Milk Producers Federation President and CEO Jim Mulhern. 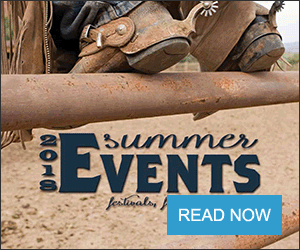 "His educational training as a veterinarian also gives him unique insights into the important issues facing America's livestock producers in the areas of animal health, food safety and the environment."